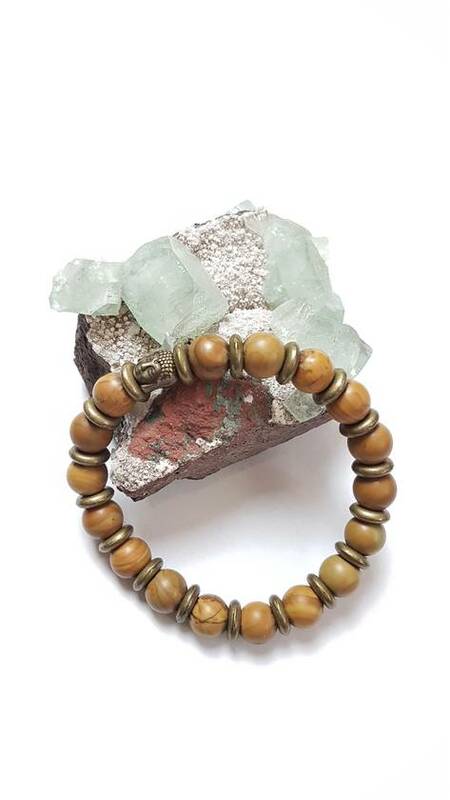 This bracelet measures approximately 7 inches in circumference and is made up of 17 10mm wood grain jasper stones, 1 bronze tone Buddha head bead and large doughnut bronze tone alloy beads finished the look. 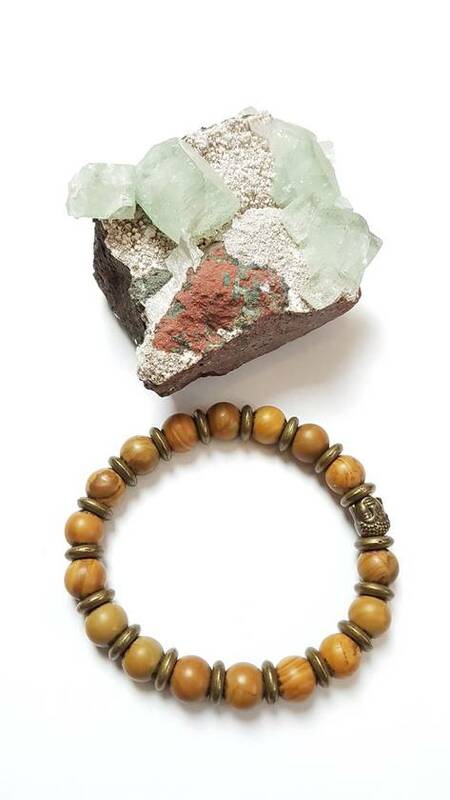 Strung on two super stretch and durable clear elastic cords so it will easily slip on and off the wrist. 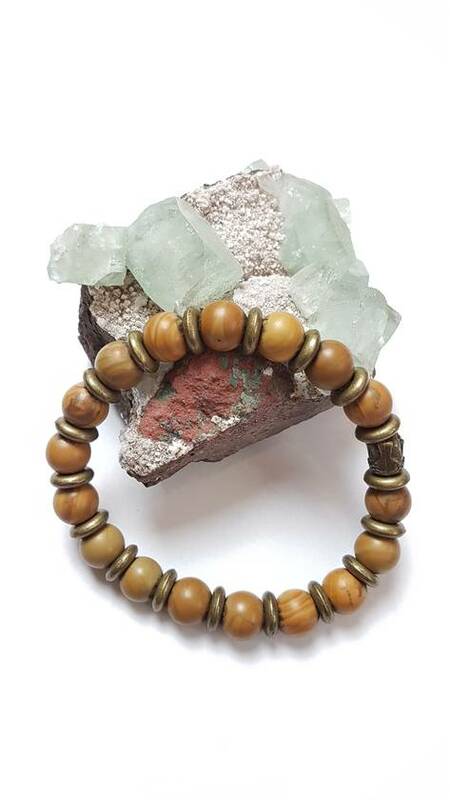 This bracelet has weight to it making it the perfect accessory for a strong confident man.